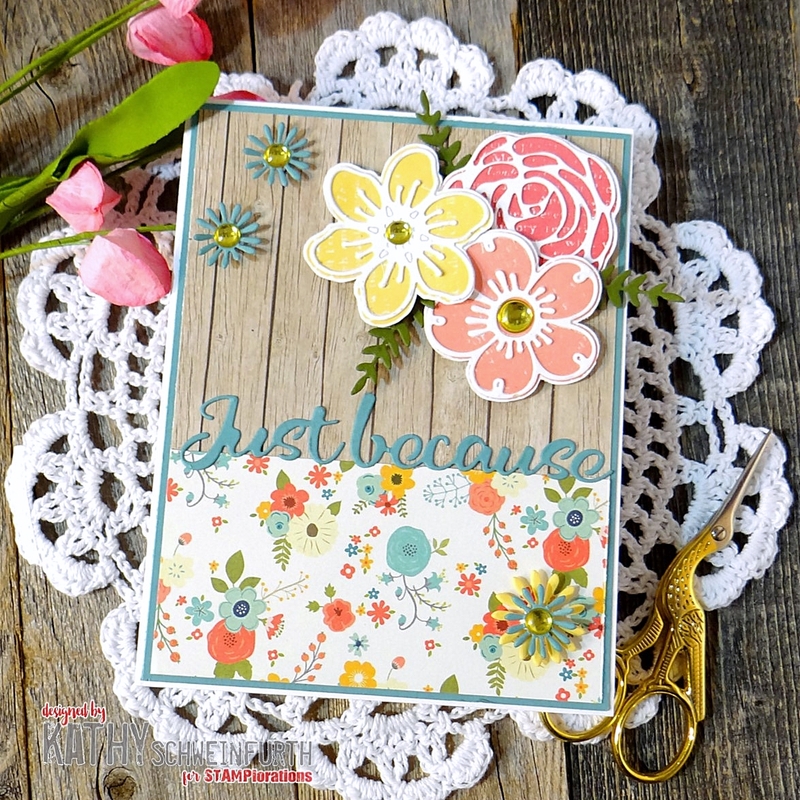 For my card, I layered cardstock and a couple different pattern papers to the card base. 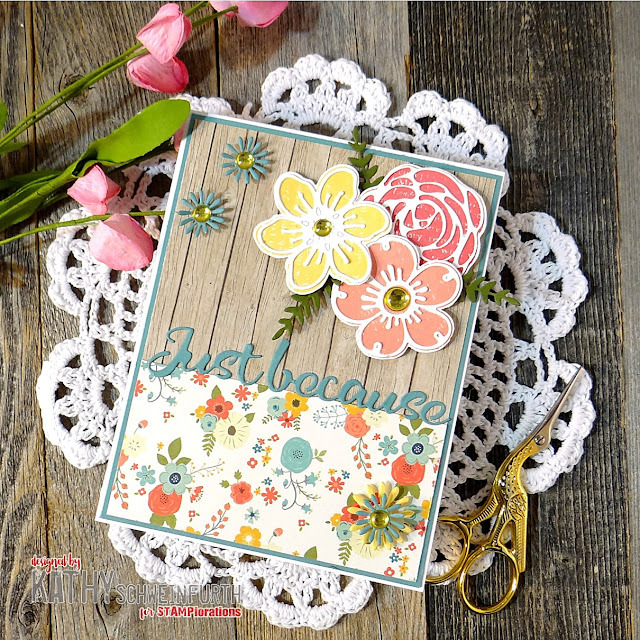 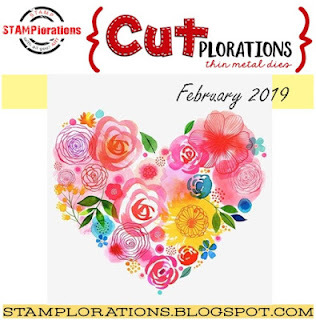 These pretty flowers were created by first stamping images from the Trendy Spring Blooms stamp set then cutting white cardstock with the coordinating Trendy Spring Blooms Dies. The tiny flowers and leaves were also cut using the Trendy Spring Blooms Dies. 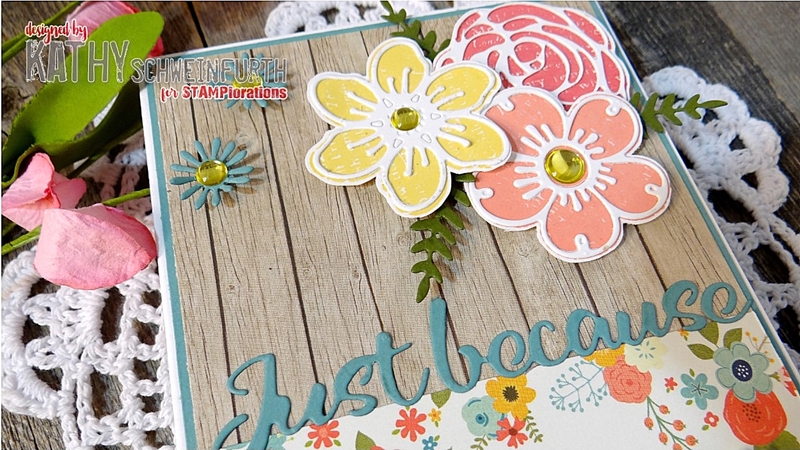 To finish, I cut muted blue cardstock with the Just Because Phrase Die and placed in the middle of the card. Just... like a breath of Spring!!! Love that stamp/die set you used here Kathy. 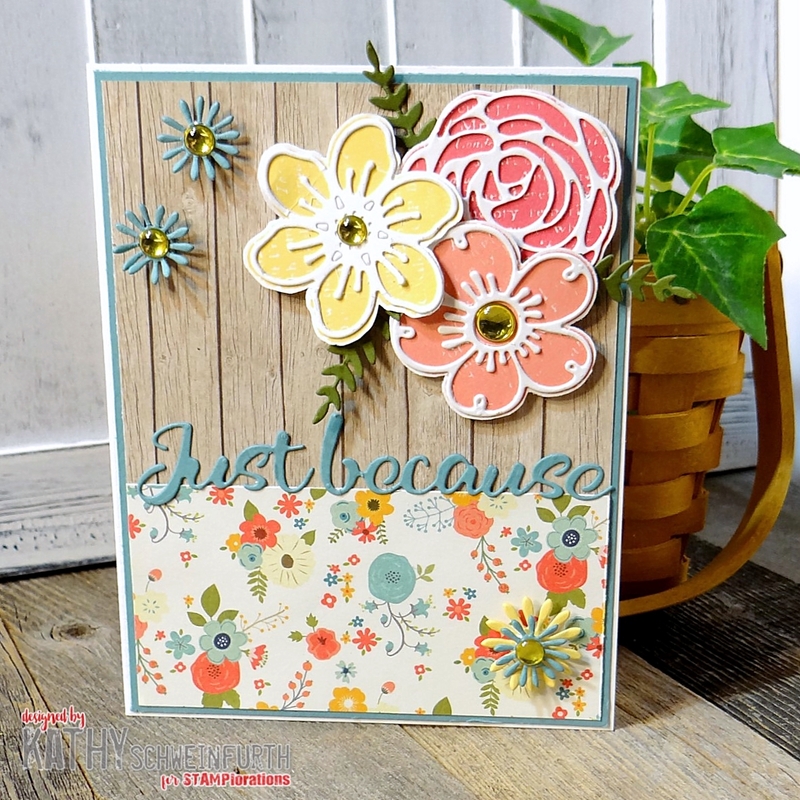 Beautiful floral display with the pretty dp.